Best Photography in Las Vegas – Portrait, Modeling and Boudoir at its Best! Justin Hitting it out of the park! Want the Best Photography in Las Vegas? Look no further! 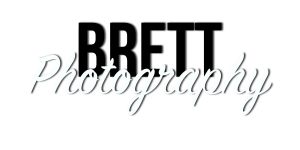 Brett specializes in Headshot, Portrait, Business Portraits, Modeling & Boudoir Photography and he has twenty years of experience under his belt! The most important factor in having your photo taken is making sure that your photographer captures the essence of who you are and what you want to say in your photo. Too often photographers will rely on their clients to make the photo pop. They will provide their time and experience in using a camera but they don’t offer expertise to the model/client. Our approach is very different. When you book a photography session with us you are booking time to spend having fun, sharing ideas and capturing ‘real’ true moments that make you shine! We don’t want you to worry about how you look; if your hair is in place or if you are making a silly face. That is our job. Before we begin shooting we will sit down and discuss what your goals are for the photos. We will learn about you and what makes you smile. Only after we have established a fun and open environment to work will we begin shooting. We consistently have clients tell us that having their photos taken is a stressful event in the past. They tell us how the photographer didn’t make them comfortable; they didn’t talk during the shoot; they didn’t give them any direction and even worse, the final products were usually worthless!